effects on the global economy. know your customer (KYC) and anti-money laundering (AML) requirements. Transactions Per Second by 2020. What does Spot coin do? We are an over-the-counter clearing house that provides ease of movement between fiat and cryptocurrencies. With our rapid growth, we've expanded into a multi-faceted powerhouse engaged in mining operations, education in the Black Sea Region, and building a global digital exchange based in Georgia. 9,000 additional units on behalf of clients. to navigate experience built upon simplicity. ratio will be maintained in the event that the hard cap is not reached. distributed after our Big 4 accounting audit is completed. investors in China, South Korea, or the United States of America; however, U.S.
participate in the Private Sale via a Simple Agreement for Future Tokens (SAFT). Token Distribution – Spotcoin will use a trusted third-party token distribution service. They will not release the tokens until our third-party, Big 4 audit is completed. one month after the third-party audit is completed if the soft cap is not achieved. 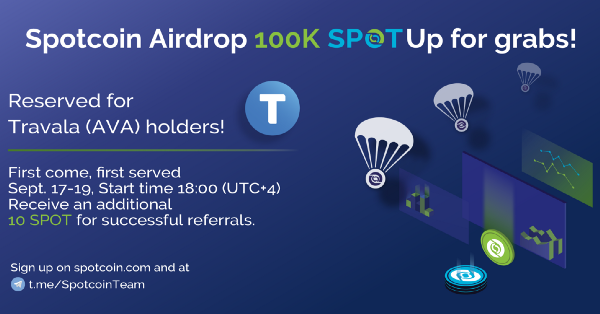 1,000,000 SPOT tokens and the minimum is 50 SPOT tokens. Pre-ICO Sale limit is reached, whichever comes first. publication date for each of the next 5 years to fund business expansion. 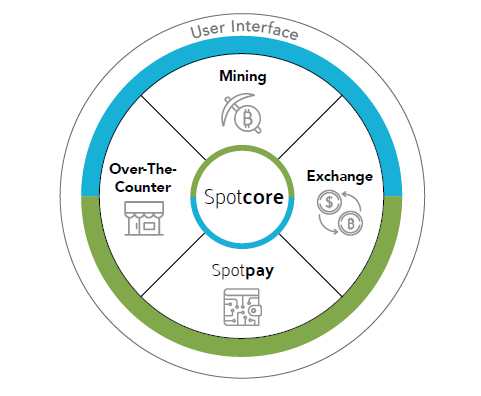 profits derived from Spotcoin’s mining, OTC and Spotpay payments businesses. on our bounty program please visit our website. rapidly exploit new developments in technology, regulations, and use-cases. 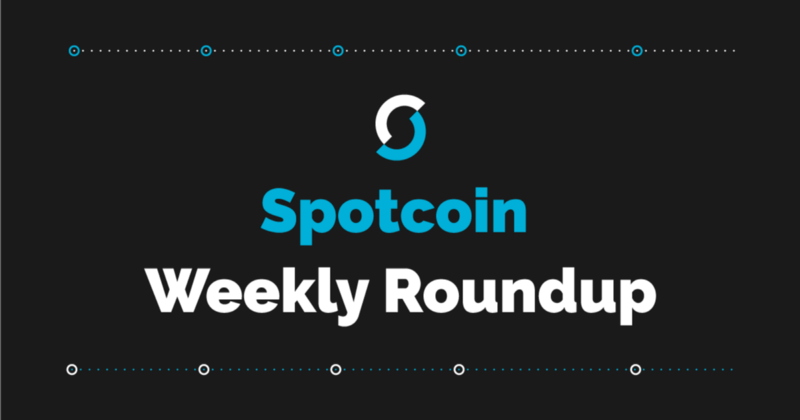 Thank you for your interest in our second Weekly Roundup, your weekly insight in the goings on at Spotcoin. 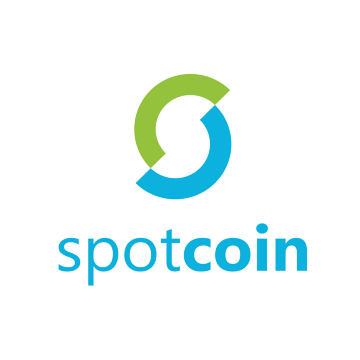 First of all, we are happy to announce that the investors who bought SPOT during the Pre-ICO can now view the tokens in their Spotcoin profiles using the “Transaction History” drop-down menu item after logging into their Spotcoin accounts. The final distribution of the tokens will happen after the ICO and third-party audit are complete, but you can already see your very own SPOT. Welcome to the Spotcoin family! · Our CEO Tim Gick spent this week in the US, setting up some important partnerships that we can’t announce just yet, but should bring real value to our SPOT token. 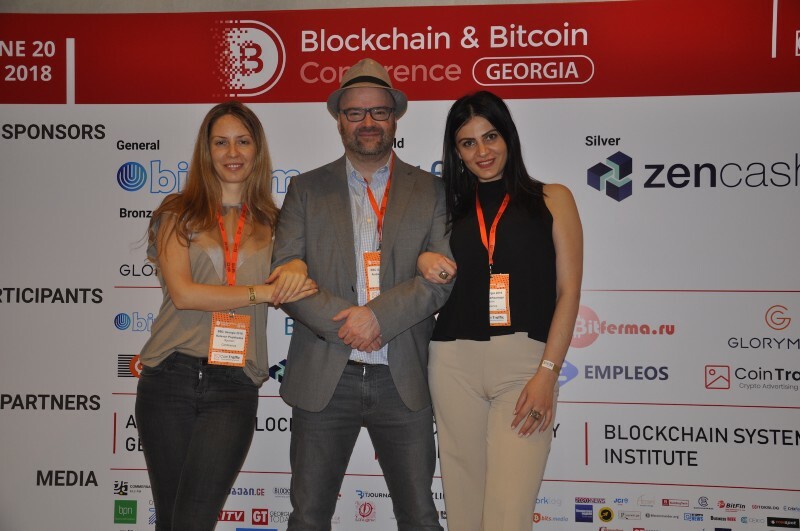 · • On Wednesday, our Spotcoin Ambassador Andrew Thornhill spoke at the Georgian Bitcoin and Blockchain Conference, joined by Armenia Country Manager Anait Ambartsumyan. · On Friday, our CSO Sean Mulcahey and Marketing Manager Ketevan Popkhadze met with the Georgian Innovation and Technology Agency. We are continuing to work together to address issues and opportunities in the blockchain space. · Spotcoin is based in Georgia, where Mamuka Bakhtadze was just approved to become that country’s next Prime Minister. Bakhtadze is interested in incorporating blockchain into the Georgian tax authority’s operations. You can read more about Spotcoin’s view on government and regulation issues in one of our Medium articles from this week. What else? We are working hard to finalize our ICO preparations, testing everything needed on the technical side. Also, we’re teaming up with third party specialists to make absolutely sure we will be ready. A final ICO date will be announced as soon as possible. It won’t be long now. This week, we welcomed visitors to our beautiful home country of Georgia. Visitors are often surprised by Georgia’s charm. And that’s not just because of the nice climate, the beautiful old city of Tbilisi, the wine, the food, the friendly people, the Black Sea beaches and the majestic Caucasus — even though you’d think that would be enough. It’s also a great business climate and brimming with opportunities for blockchain companies, something our guests from Effect.ai, Thor and Travala got wind of within days. Tentative plans/dreams of setting up offices in Tbilisi surfaced, and at Spotcoin we would be happy to facilitate our NEO family cousins. Their visit coincided with the launch of the NEO Black Sea community, something that NEO News Today reported on, among others. Supporting and growing the NEO community is something we feel strongly about, so the event in Signagi was a great moment for us. So far, Spotcoin has been a driving force behind this, but we’re hoping for local NEO and blockchain enthusiasts to become involved. The NEO Black Sea community is not established for profit, but out of the genuine belief that NEO deserves a community in the Black Sea region, and the Black Sea region deserves a NEO community. To raise interest and show what the opportunities are, we will organize a NEO hackathon later this quarter, together with the Georgian Innovation and Technology Agency and the Georgian-American University. We are also happy to announce a partnership with Thor, where Spotcoin will bring direct liquidity to the smart gig economy their team has designed. 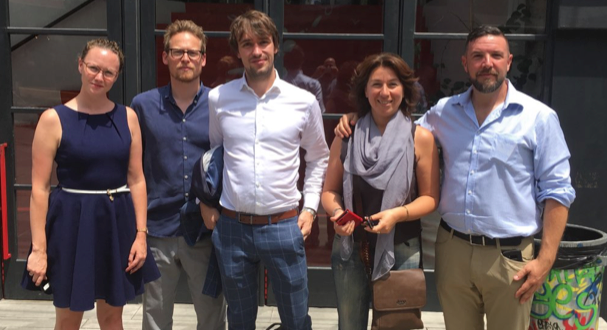 Effect.ai networking with Dutch economic policy advisors in Tbilisi. Our friends from Effect.ai wasted no time and took several meetings with high level officials of the Georgian government and the Dutch economic policy advisers in Tbilisi. Since it’s literally not our business, we’ll leave it to them to communicate what they’re up to, but we saw a lot of happy faces. Things are happening in the Black Sea region, and we’re proud to be a part of it. Providing easy access to digital currencies for the people in our region is our priority. We will make digital currencies work for everyone. However, certified accredited U.S. investors can take part in the SPOT private sale. Chinese and South Korean investors can participate in the private sale when paying with digital currencies, after signing the SAFT form and completing the KYC /AML process. Any investment in digital currencies comes at a risk. No one should invest money that he or she can not afford to lose. Who is Travala and why are Airdropping tokens on their community? 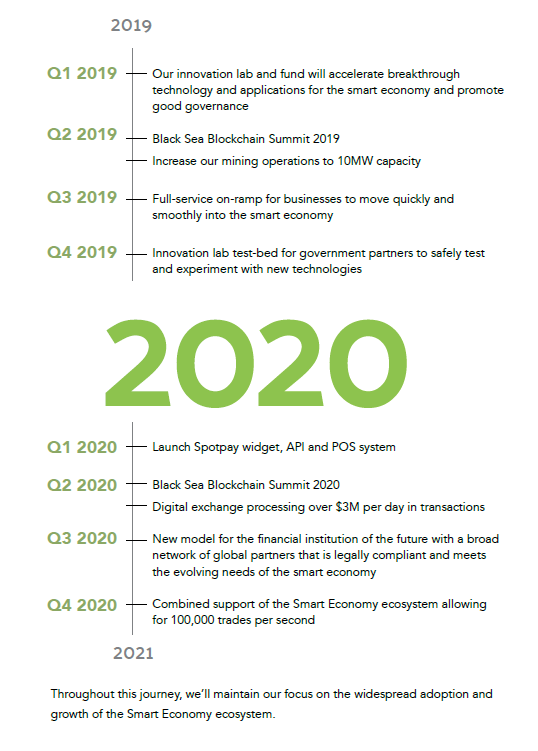 It’s been a busy summer here at Spotcoin. Let’s take a moment to reminisce. 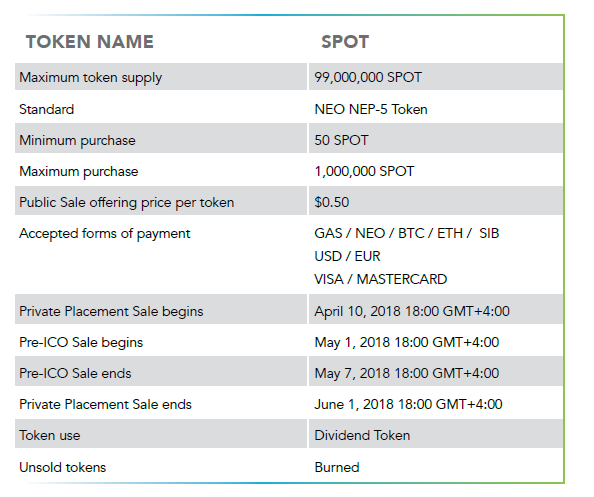 Do you remember back when Spotcoin helped launch the NEO Black Sea Kickoff? 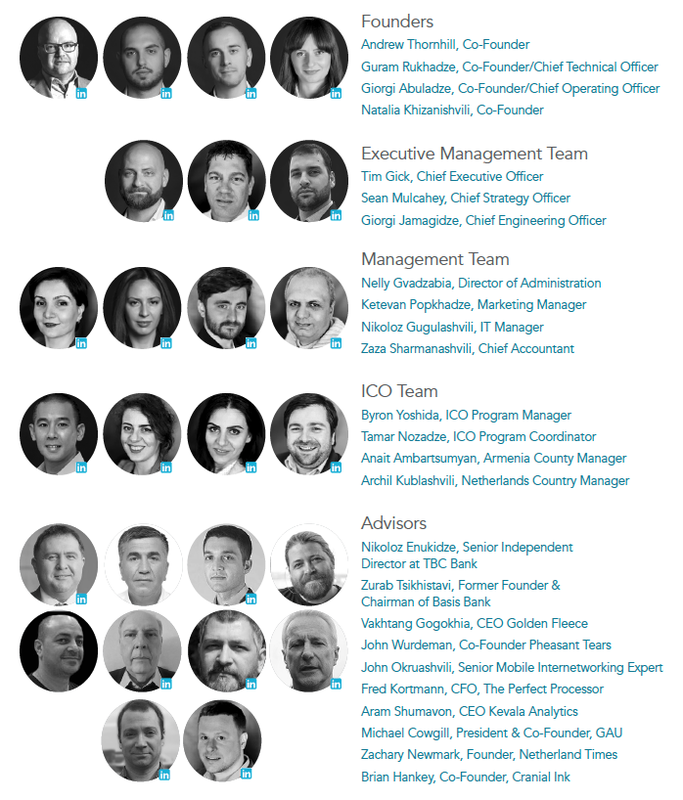 The team committed to expanding the NEO community globally. A key member is Travala, a global online travel booking marketplace. At Spotcoin, we are excited to partner with businesses that share our goal of making digital currencies work for everyone. As Spotcoin is an integrating organization, we like to team with quality projects that adhere to our stringent company standards. Travala is a prime example that really highlight those characteristics. They are redefining the billion-dollar travel marketplace, opening and simplifying a complex world for everyone. Spotcoin is honored to announce that Travala will be listed on our fiat exchange, expected to launch later this year. They are a global online travel booking marketplace, building the marketplace on the NEO decentralized engine and blockchain. Their proprietary booking ledger will be the core of the Travala ecosystem where travelers and merchants communicate directly to facilitate easy booking with 0% commission. “I’m impressed with how Matt has led his team to success and continues to do big things for both Travala and the NEO ecosystem,” Tim adds. It’s another great partnership, and another example Spotcoin is making digital currencies work for everyone. 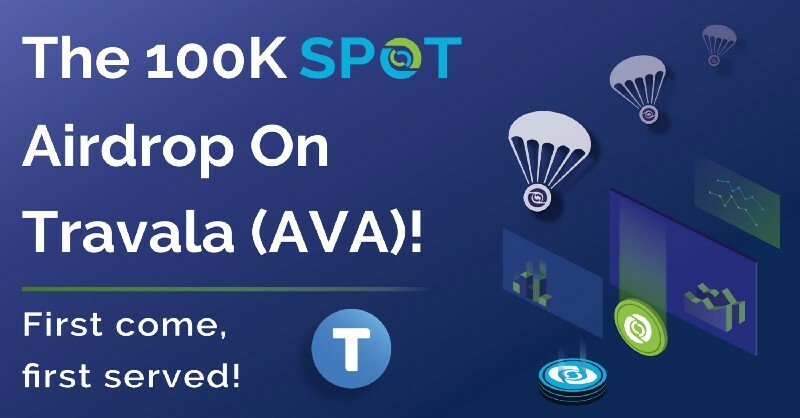 To celebrate our new partnership, Spotcoin is airdropping $50,000 worth of SPOT tokens to holders of Travala’s AVA token. The first come, first served event will begin on September 17 at 18:00 (UTC+4), and will last for a maximum of two days. But if it’s anything like our other airdrops, you’ll have to act fast. We’ll publish a guide to participate in the airdrop on Medium later this week, and stay tuned to our Telegram channel to learn more about how to get your shot at free SPOT. In the meantime, hop on over to Travala’s website, check out their whitepaper, and learn more about this great company. Residents and citizens of the United States, US territories, and Singapore are prohibited from taking part in the SPOT Airdrop and the SPOT public sales. Residents and citizens of the following countries are prohibited from taking part in the SPOT public sales: Bosnia and Herzegovina, China, Ethiopia, Iran, Iraq, North Korea, South Korea, Singapore, Sudan, Sri Lanka, Syria, Trinidad and Tobago, Tunisia, Serbia, Vanuatu, and Yemen. Did you catch the announcement? Spotcoin is partnering with Travala for another epic collaboration focused on making digital currencies work for everyone. Travala is a global online travel booking marketplace shaking up the travel industry using blockchain. Naturally, the follow-up question is “How do I take part in the airdrop? !” Ask and you shall receive. 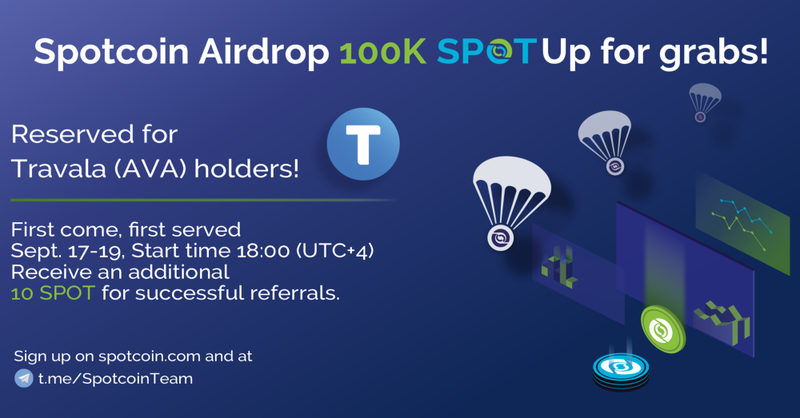 Spotcoin is airdropping $50,000 worth of SPOT tokens to holders of Travala’s AVA token. 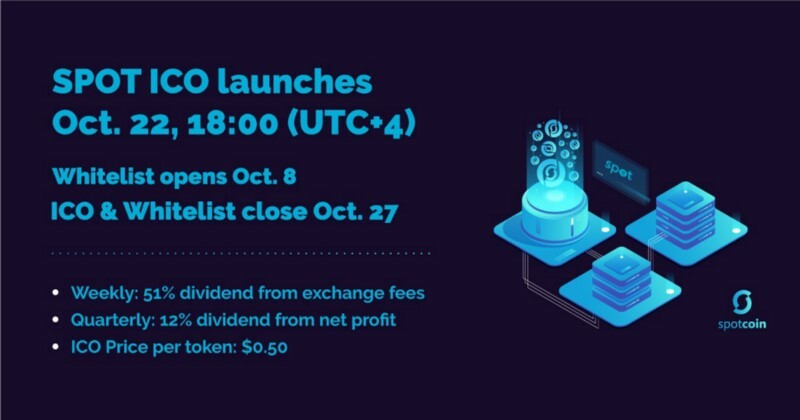 The airdrop launches September 17 at 18:00 (UTC+4) and will last for a maximum of two days. It is first come, first served. Read on to learn all you need to know about how to get your hands on some free SPOT, support Travala, and contribute to build a growing blockchain community. 1. Create an account on spotcoin.com before the airdrop registration. 2. Confirm you have enough partner tokens at least 24 hours prior to the airdrop registration date. You need at least 300 AVA to earn your free SPOT. 4. Once complete, refer friends to have a chance to earn an additional 10 SPOT for each successful referral! When will I get my SPOT? How much SPOT will I earn? You only need 300 AVA in your non-exchange wallet to receive 50 SPOT. Sounds like a killer deal, right? Wait. What do you mean “first come, first served”? When the $50K worth of SPOT is claimed, the airdrop is over. If the past is any indicator, the airdrop will end much earlier than the two-day period. So be ready to jump on the deal. You don’t want to miss out. Where can I find the airdrop bot? The link for the bot will be published in the following Telegram channels Spotcoin Team and Spotcoin News. Why do I need to confirm I have the tokens before the airdrop? We recommend having the tokens in the wallet 24 hours in advance since the nodes take a while to completely sync with the entire blockchain. We will conduct an automatic snapshot of the NEO blockchain at the time you submit your application to see what amount of partner tokens you hold. Please do not keep your partner tokens on an exchange and ensure the tokens are not transferred immediately prior to the airdrop registration or the node may not see the proper balance. Basically, make sure we have a clean snapshot and you’ll be good to go. All non-exchange wallets can receive SPOT; however, some wallets may not display the token. We recommend the Aphelion, O3 and NEON wallets. Read more here about how to add NEP-5 tokens to the NEON wallet. Do not use an exchange wallet. How can I get more SPOT? Referrals! We will provide an additional 10 SPOT for successful referrals. Spread the word! Thanks for joining us as we work to make digital currencies work for everyone. See you September 17th! Residents and citizens of the United States, US territories, and Singapore are prohibited from taking part in the SPOT Airdrop. Residents and citizens of the countries are prohibited from taking part in the SPOT public sales: the United States, US territories, Bosnia and Herzegovina, China, Ethiopia, Iran, Iraq, North Korea, South Korea, Sudan, Sri Lanka, Syria, Trinidad and Tobago, Tunisia, Serbia, Vanuatu, and Yemen.